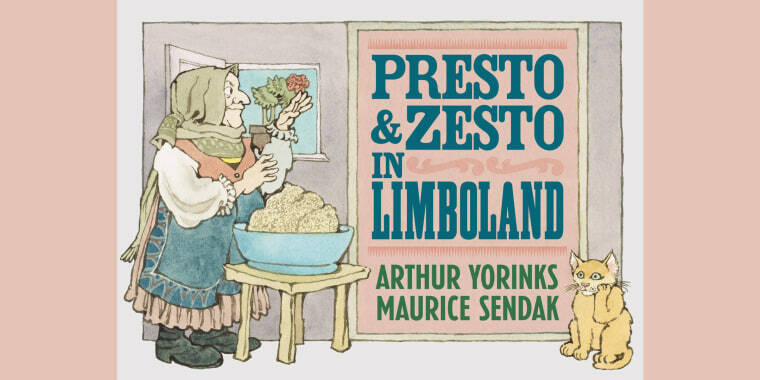 'Presto and Zesto in Limboland' is Sendak's first book in five years. A new Maurice Sendak picture book is on bookshelves, and it’s a testament to a friendship that outlived the celebrated author and illustrator, who died in 2012. “Presto and Zesto in Limboland” tells the story of two friends in search of a wedding present, and with any luck, some cake. It’s Sendak’s first book since “My Brother’s Book” was released shortly after his death, and a collaboration with longtime friend Arthur Yorinks. "He’d be delighted to see this book in print — we both loved the cuckoo-ness of the whole thing and he would be very happy with how the book has turned out," Yorinks told TODAY. "We both meant for it to be published and that it now is, well, he’d be very happy about it." Presto and Zesto were Yorinks’ and Sendak's nicknames for each other, and the two friends crafted the story around illustrations the "Where the Wild Things Are" author made to be used as projections for the London Symphony Orchestra in 1990. Completing it gave Yorinks one more chance to be "in the room" with his good friend. "Though we were of different generations, we shared a lot in common and we were able to respect each other and enjoy each other’s company," Yorinks said. "What more can one ask? “Presto and Zesto” has some of the trippy zest of “In the Night Kitchen” — it features the wedding of two sugar beets, and along the way, Presto and Zesto encounter many goats, a fire-loving monster and a bagpipe. If that journey sounds unusual, so was the book's. Sendak was commissioned to create the illustrations in 1990 for a performance of Leoš Janácek's "Rikadla," a musical composition built around Czech nursery rhymes. The rhymes were unconnected, but Yorinks was so taken by the art, he suggested the two friends come up with a story that could bind them together. 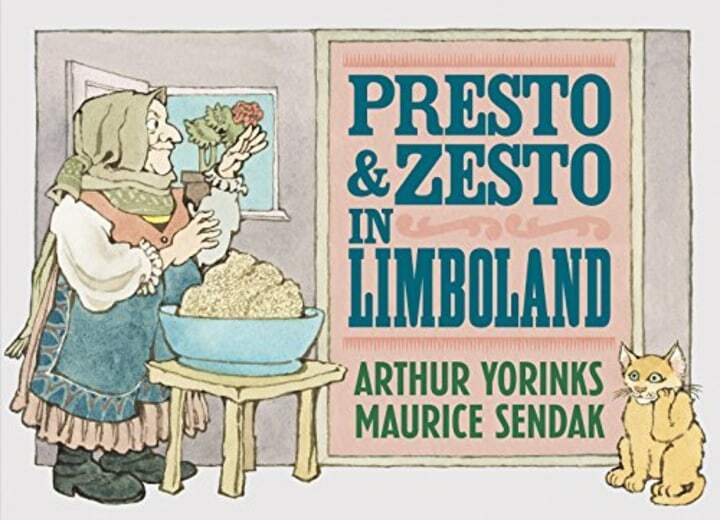 Over the course of several months — and, Yorinks notes, plenty of cake — the friends finished "Presto and Zesto," but were both distracted by different projects and it languished in Sendak's files until his longtime assistant discovered it after his death. The unorthodox origin wouldn't have been so unusual for Sendak, who told TODAY in 1980 that he didn't deliberately write for children. Yorinks hopes "Presto and Zesto" will show children "quite simply what a gift it is to have a friend and to be able to go through all the ins and outs and travails of life sharing experiences with another person. "Friendship makes the oddities of life bearable, and sometimes fun."